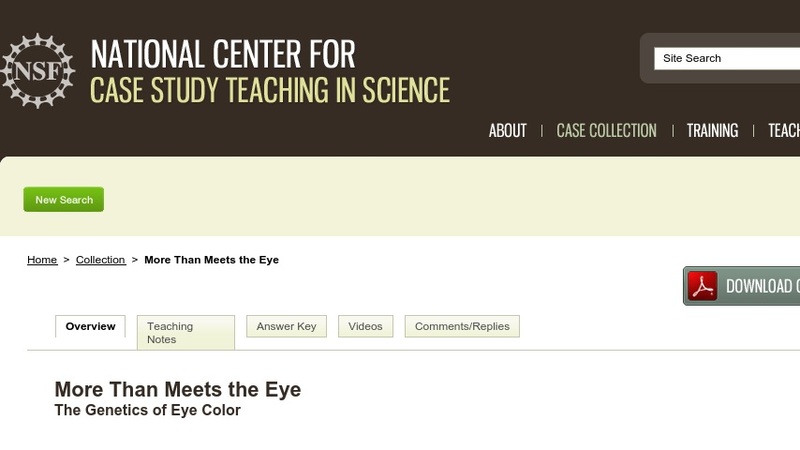 The genetics of eye color are more complex than commonly believed. This interrupted case study uses the story of a blue-eyed couple with a brown-eyed child to explore the possible scenarios that could result in this outcome. The case emphasizes the link between Mendelian genetics and the underlying molecular basis of the phenotype. It is appropriate for upper-level undergraduate biology majors with a good understanding of eukaryotic gene regulation and Mendelian genetics.